A colonial style house, built on the 20s, located in the historic center of the city. Our rooms have independent restrooms and living rooms each, with the security and comfort you deserve. In the afternoons you can taste a delicious coffee (courtesy of the house) surrounded by the tropical plants of our inner patio or simply admiring the spectacular view from our terrace. We offer our guests services of: gourmet, laundry, taxi and excursions bookings, massage and Spanish lessons taught by the owner of the house, who is a professor with a Master degree on Education at the Oriente University. We guarantee your wellbeing, welcoming and serving you with the hospitality and affection typical in the santiagueran family. Nearby you will find the most popular recreation, cultural and historical places in the city of Santiago. It is just 2 blocks away from the main street in the city: Calle Enramadas which leads you to several interesting touristic places like: Casa Granda Hotel, El Ayuntamiento (City Hall), Diego Velázquez Museum, Emilio Bacardí Museum, Carnival Museum, Casa de La Música, Casa de La Trova, etc. After walking for a few minutes you can also find Art galleries, artisans shops and markets, banks, money exchange offices (CADECA), some of the most famous restaurants in town like: El 1900, El Baturro, Compay Gallo, Primos Twice, San Francisco, etc. Nightclubs, internet areas and travel agencies like Cubana de Aviación are close too; as well as the Vía Azul Bus Station, car renting offices, and others. 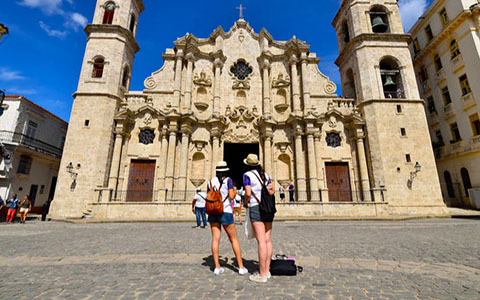 Also in town, though no so close, you can visit several of the most beautiful places in the country like the famous Iglesia de Nuestra Patrona La Caridad Del Cobre, La Gran Piedra (The Big Rock), Las Ruinas Francesas (French Ruins), El Castillo del Morro, beaches, swimming pools and natural ponds. I have a degree on Pedagogy and English Language teaching.